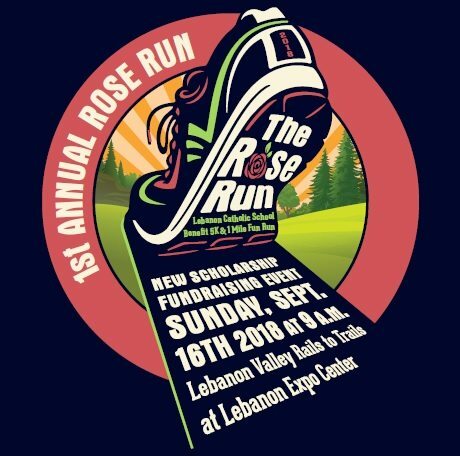 Lebanon Catholic is proud to announce a new Scholarship Fundraising Event, the 1st Annual Rose Run. All ages and levels of runners are welcome to this family-friendly event that features a 5K Race and 1 Mile Fun Run. Proceeds benefit the Rosemary Sonni Walsh Scholarship for Lebanon Catholic Students in grades Pre-K through 12. Join us Sunday, September 16, 2018, 9:00am, Lebanon Valley Rails to Trails at Lebanon Expo Center.